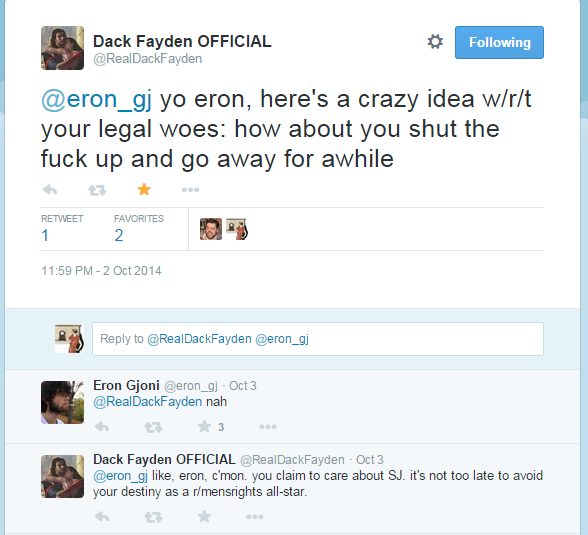 Eron Gjoni convinces dozens of idiots to give him at least $1800 for “legal fees”. But is the suit real? As some dude 200 years ago said; there’s a sucker born every minute. 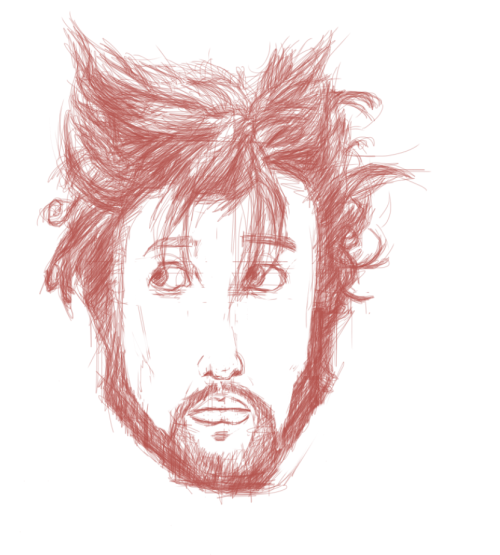 When we last left Eron Gjoni, he was…well actually, he was browsing this blog. My tracker shows the writer of thezoepost visiting my site every so often; Gjoni even typed his own name into this blog’s search engine. 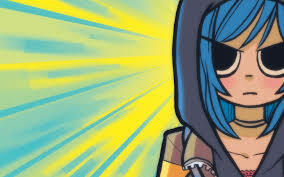 What a narcissist, huh? 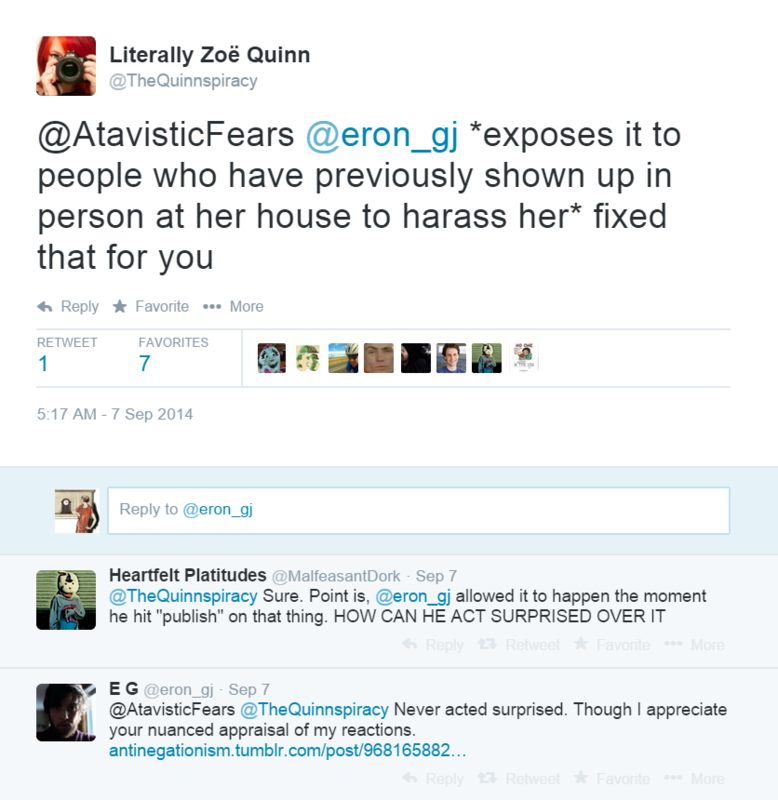 So according to Eron lately, the Khaleesi of SJWs, Zoe Quinn (aka The Undoxxed, Queen of all Bees) has turned up again to unfairly torment him. Or maybe it’s just the consequences of his manipulative attempt to engineer the professional, personal, and romantic ruin of a woman who hurt his feelz catching up with him. Or maybe, it’s a lie designed to capatalize on #GamerGater’s hatred of all things Quinn to get him a month or two of rent money. 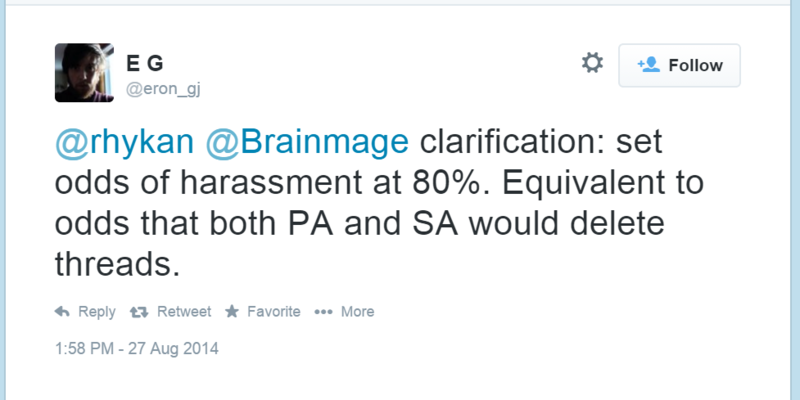 Because I can’t find any proof that this lawsuit is actually happening. Alright. 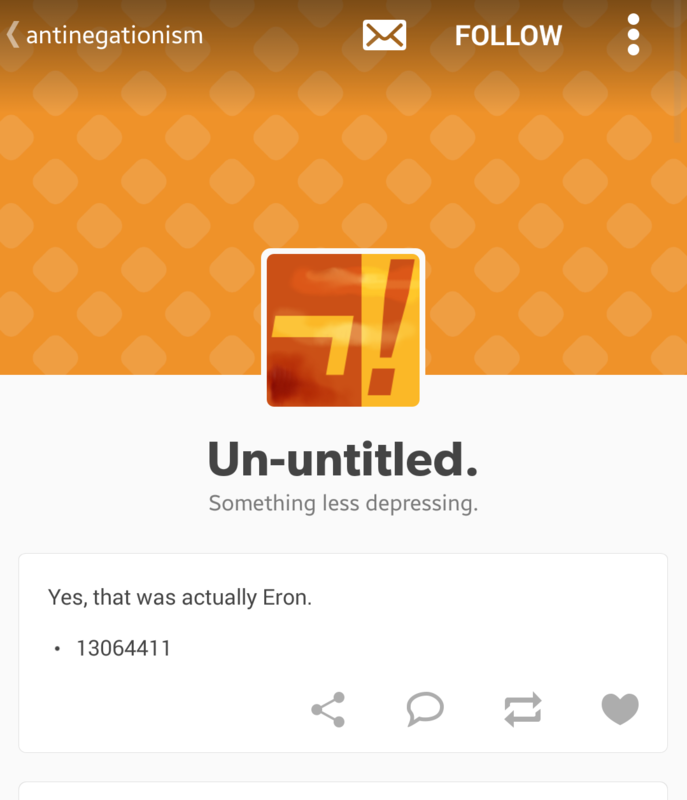 Quick summary: I’m Eron. 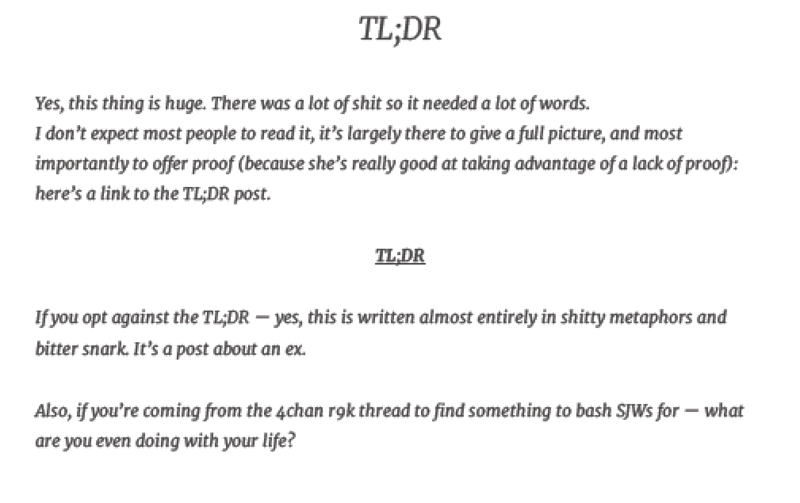 I made thezoepost wordpress that got banned from the internet for days until the internet finally gave up, and that revealed information to set the stage for what is now known as #gamergate. 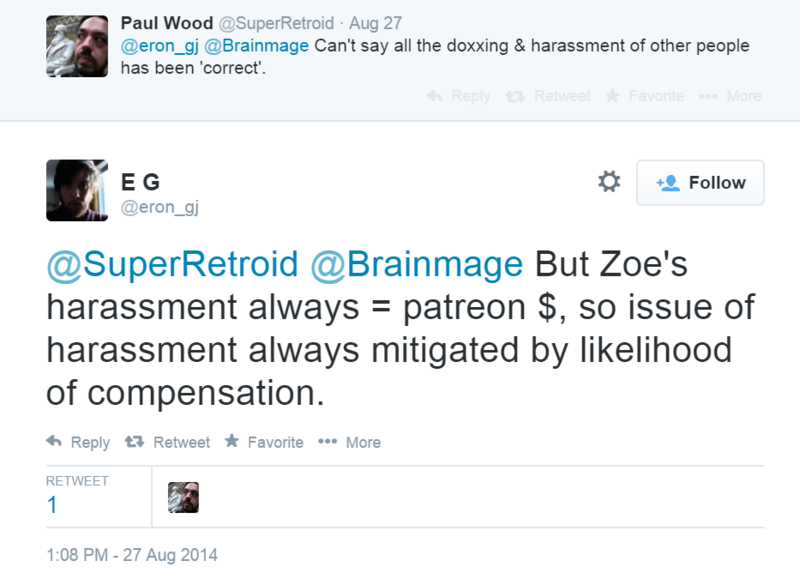 Zoe didn’t like that, and decided to abuse the courts, so I made a GoFundMe donation page to help with legal fees. For reasons that are as of yet unclear, GoFundMe took the page down while I was just shy of the $1800 goal. Hmm. This lawsuit lacks the intricate detail I’ve come to expect from Gjoni. 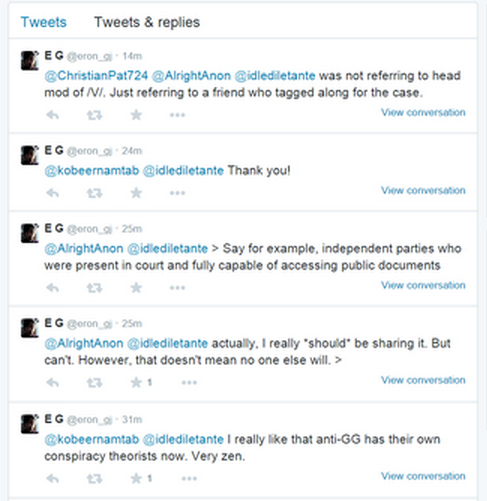 For example, with what crime has Gjoni been charged? Is it civil court, or a criminal matter? Did Quinn bring the matter to a state court or a federal one? Is there a case number or something I can look up? 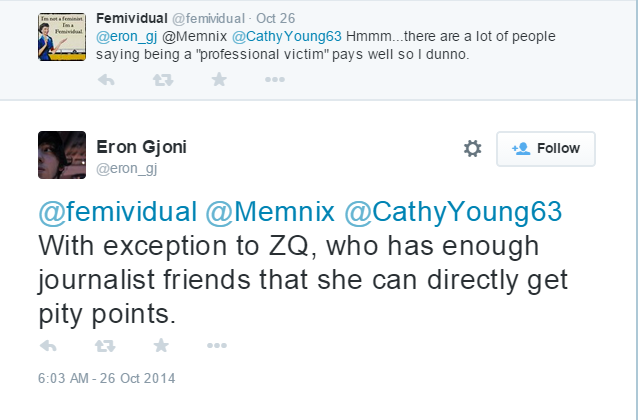 I’m asking because I’ve been looking around the internet and I can’t find anything to confirm Gjoni’s claims. 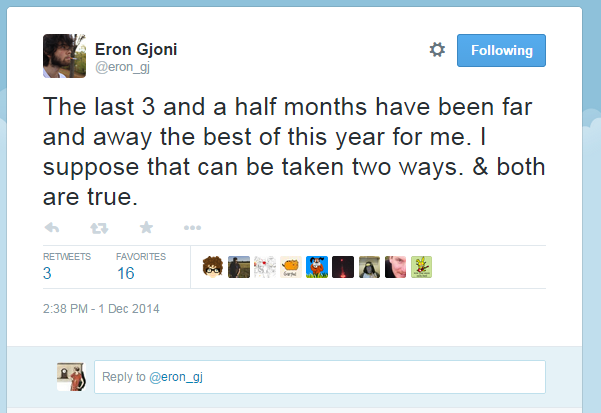 I’m not saying he’s a liar, although Gjoni has lied to me in the past. 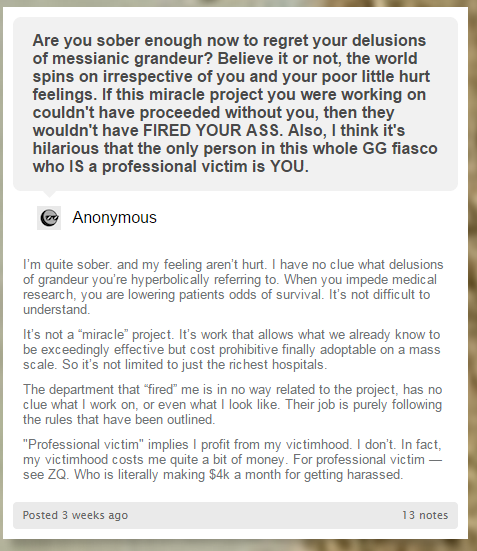 I’m saying that if Gjoni was really being sued, I’d expect another 10,000 word hurt-feelz blog post and a bunch of scanned pages from his ex’s lawyer. 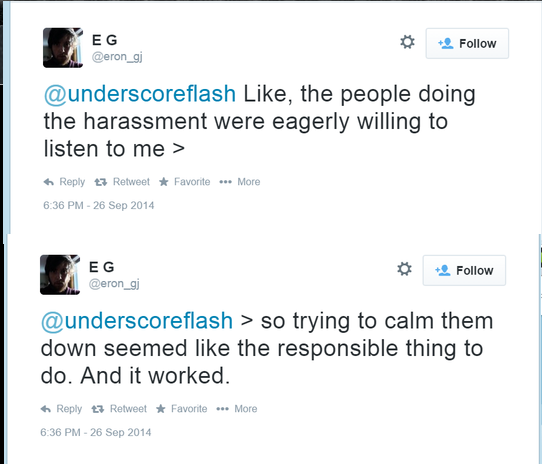 That’s kind of what Gjoni does when something he percieves as unfair happens to him. Confidential and ethical, he ain’t. 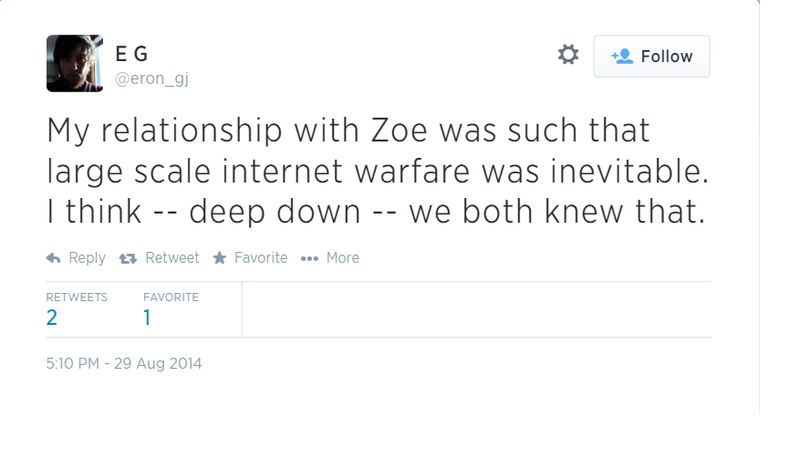 I contacted Zoe Quinn to confirm the allegations; but at press time she had not responded with a comment. 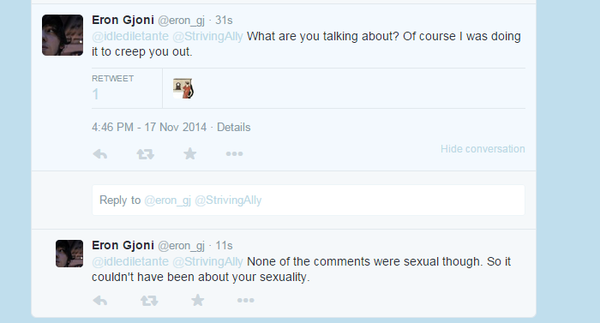 Nor could any of my SJW friends hip to her scene confirm the allegations Gjoni’s making. 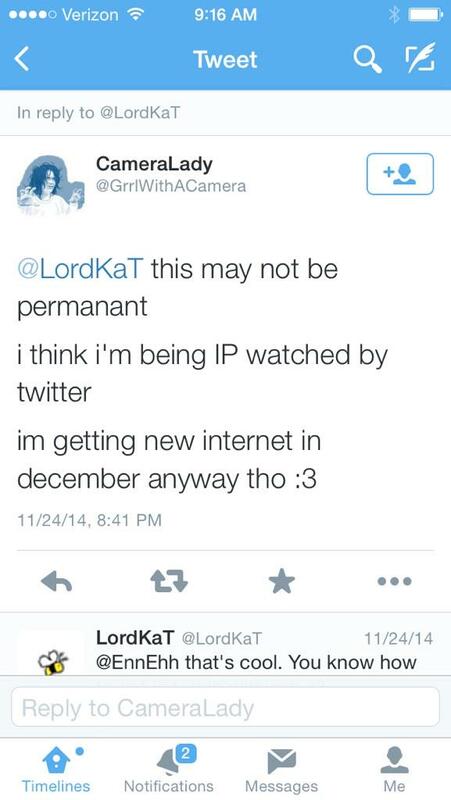 I’ll update my post if she does. 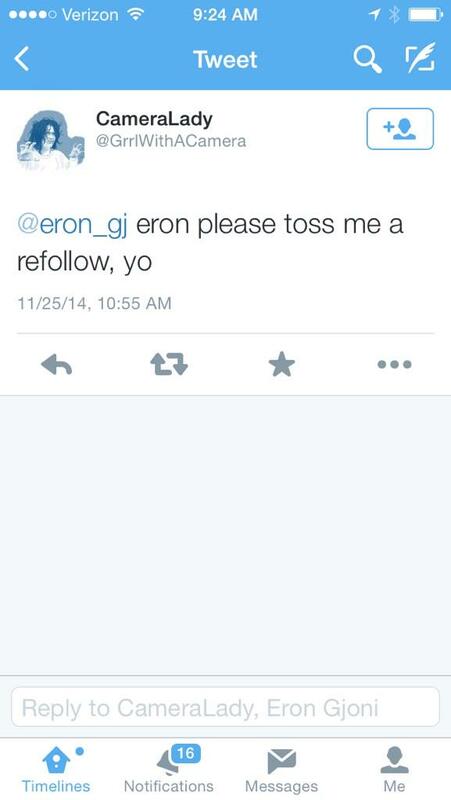 But let me let Eron finish his plea to send him your money via PayPal. Within two hours, people donated a total $1,855. 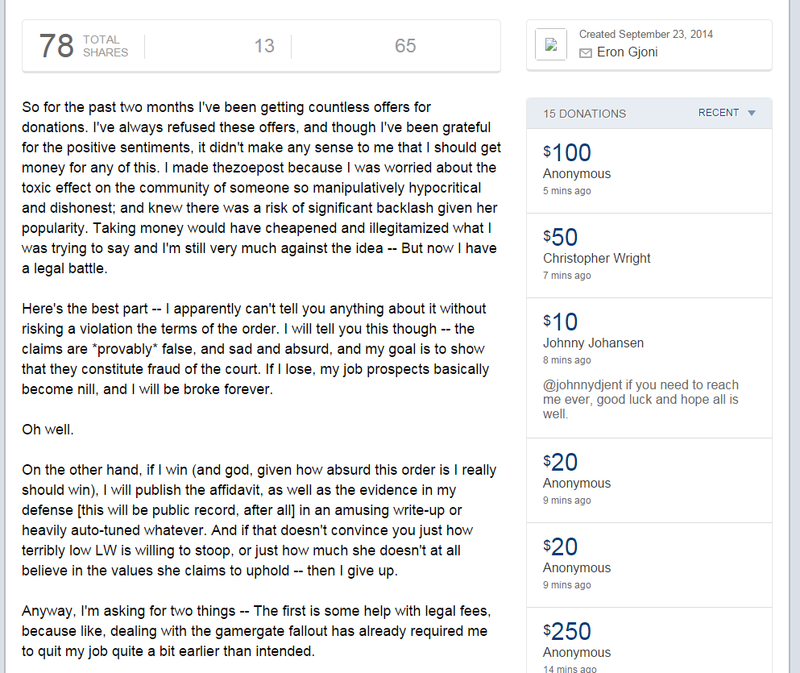 At which point, GoFundMe deleted the donations page for an unspecified ToS violation. 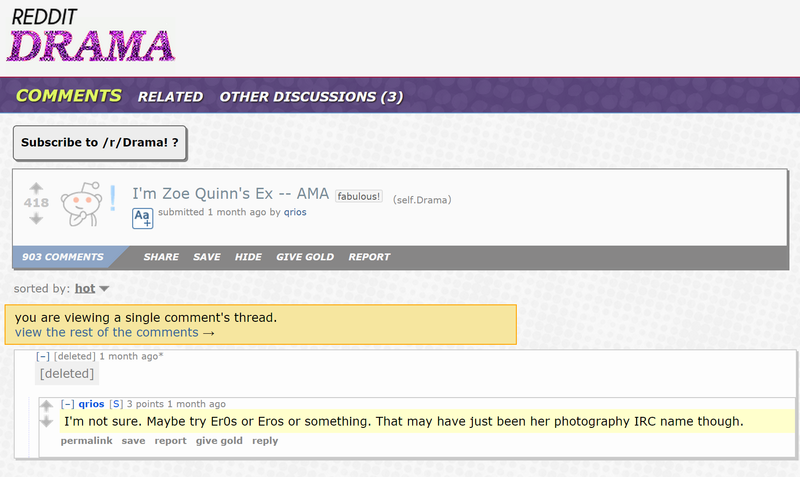 But again, they ignored my question as to why the page was taken down. 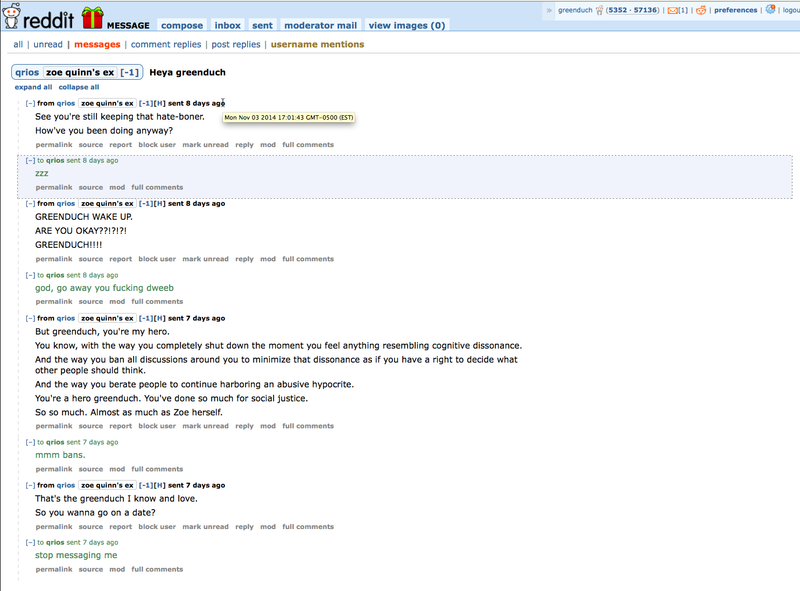 I sent another email asking why the page was taken down, but they haven’t responded to it. I will set up a paypal soon, and be super transparent about the donations coming in if people want to keep donating. I can probably eat up the remaining $165 myself, but I am curious to see what the community votes on donating the excess funds to if a bunch of those get raised. Am I missing something here? 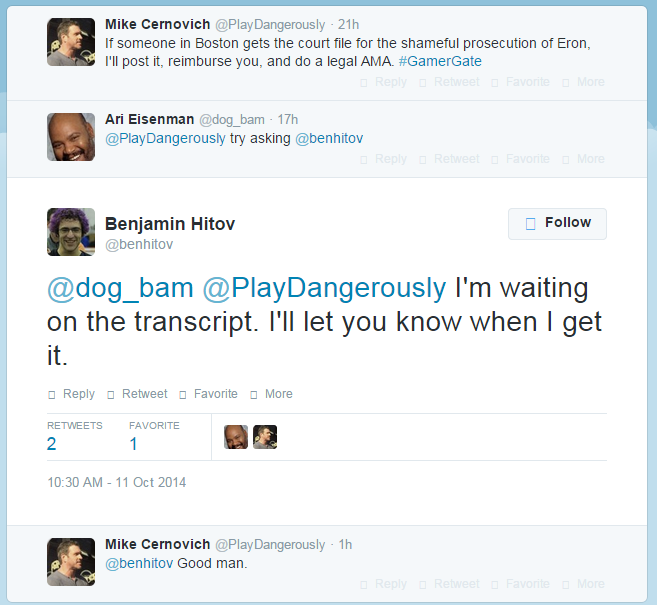 What is so ethical about soliciting donations specifically from #GamerGaters to help you with your #GamerGate related legal fees? 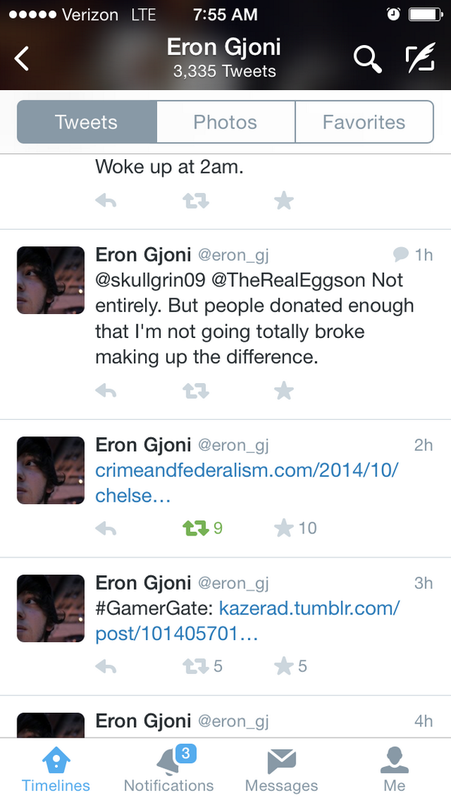 Is crowdfunding only ethical now when Eron Gjoni does it? 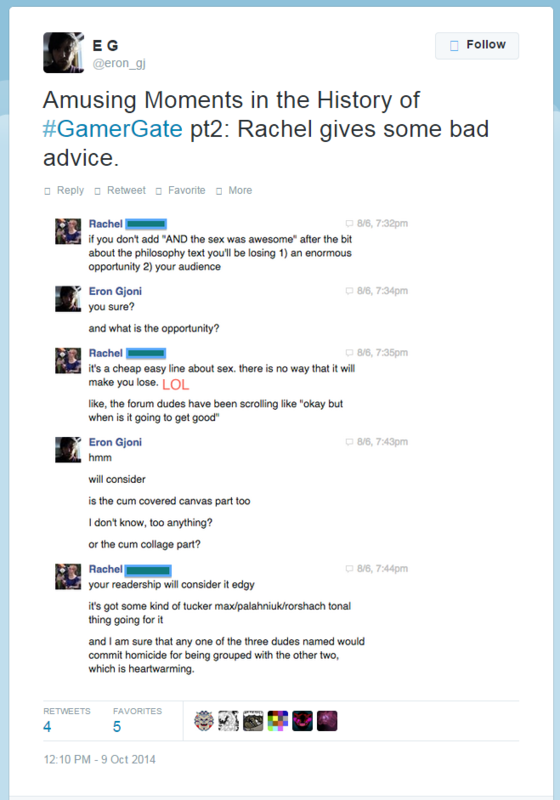 And doesn’t the rapid response on their part prove Gjoni and #GamerGate are internet BFFS, whose favorite shared interest is hating his ex? 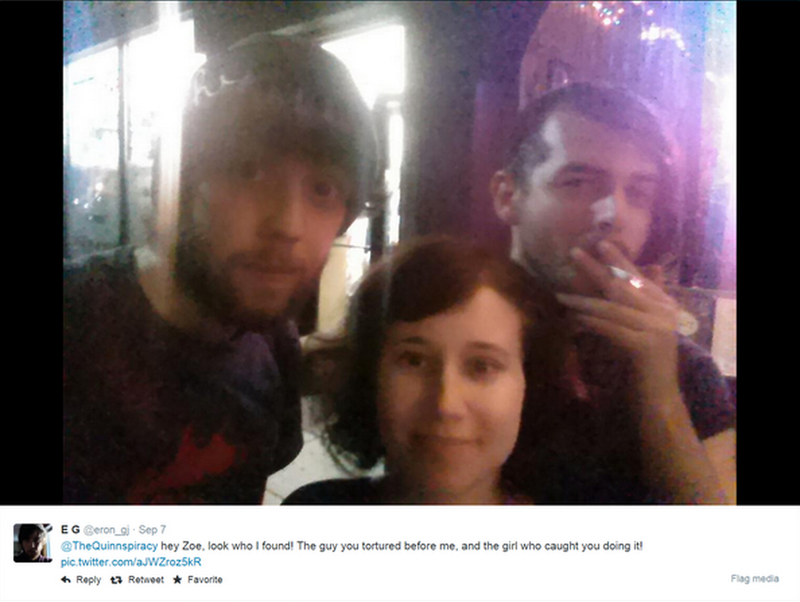 Furthermore, why are the same #GamerGaters who were so keen on getting Gjoni’s ex audited for tax fraud over her crowdfunding history practically trampling each other to give Gjoni their thousands over GoFundMe and PayPal without a shred of evidence that Gjoni’s actually being sued? And how bad do you have to be to get your campaign kicked off GoFundMe in less than a day? That’s the same web site which crowdfunded a six-figure pension for the cop who shot Mike Brown. Let me explicate on why this bothers me. 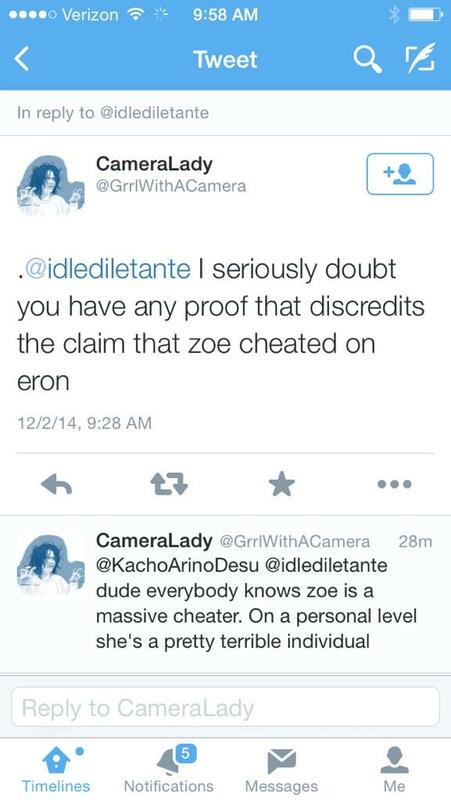 Before Zoe Quinn released her screencaps of the chatroom #burgersandfries, Eron Gjoni gave an interview there. One of the questions he was asked was about a crowdfunding campaign Quinn started when her pocketbook was allegedly stolen. 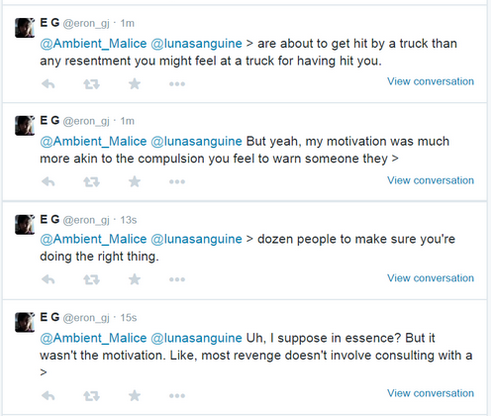 Eron could not disprove that she was mugged, but still spoke at length about the amount of money she had recieved- several thousand dollars. 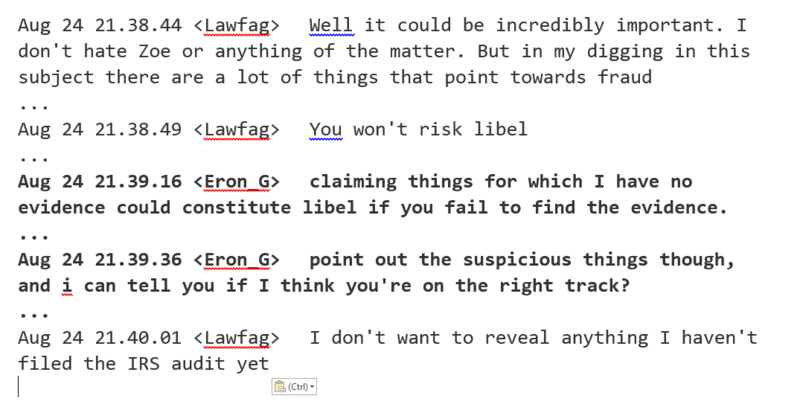 But now when Eron needs money for a claim he can’t doesn’t prove (or doesn’t want to prove), a different standard applies. 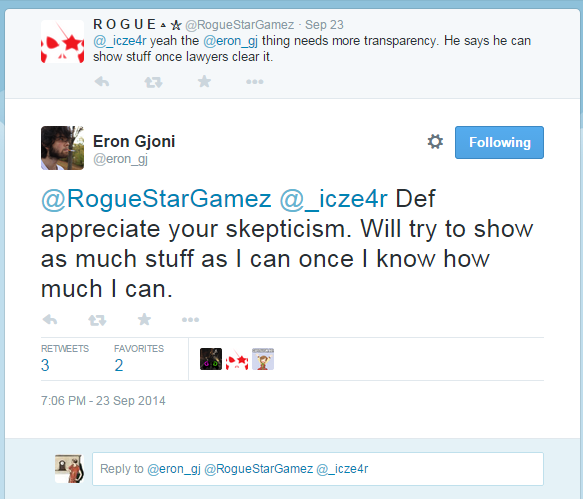 So why is it when Eron says he needs money, nobody questions his motives? It’s very fishy, isn’t it?. This campaign is curiously timed with Gjoni’s departure from his job, and the cynic in me wonders if he’s just conning #GamerGaters for their money. 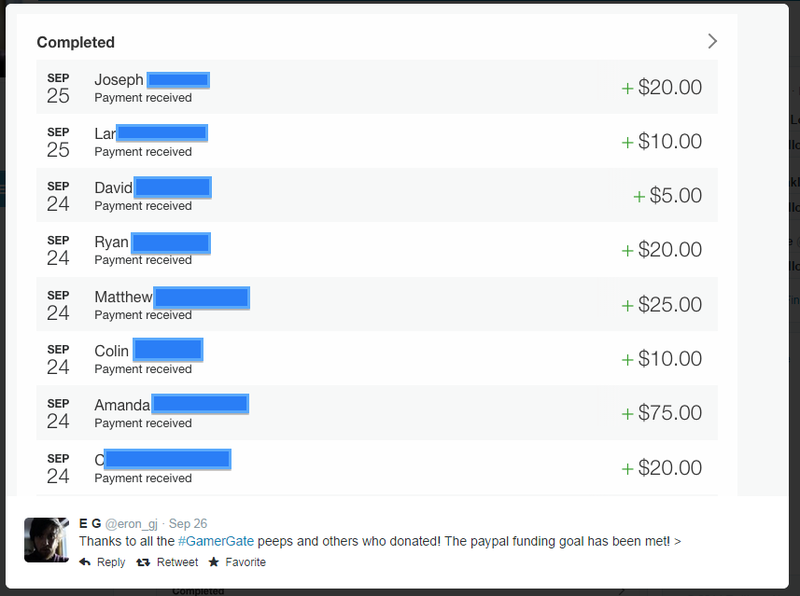 Despite the use of #GamerGate buzzwords there’s nothing transparent about this donation drive. Unless Gjoni wants to release the name of his representation, I can’t imagine how he can prove the money’s being spent on a lawyer. Donating whatever extra amount he gets (or saying he will, at least) does little to clarify where exactly these “legal fees” are going.